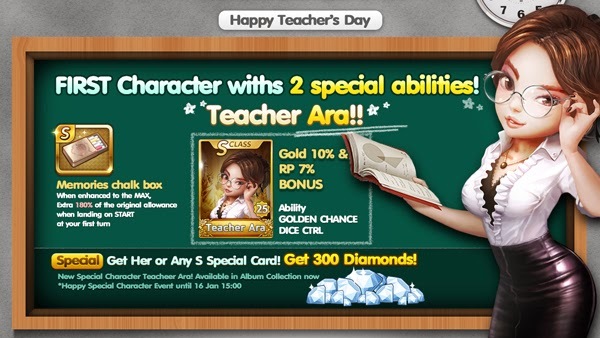 Update [Update] Happy Teacher’s Day : Teacher Ara with 2 Special Abilities! [Update] Happy Teacher’s Day : Teacher Ara with 2 Special Abilities! Let’s Learn the Way of Winners with Our Genius Teacher! Get Her or other S Special cards Now Get 300 Diamonds! Happy Teacher’s Day with her , Let’s FUN and RICH Together.